Whitney Balliett, the dean of Jazz writers, at least as far as I’m concerned, never explains the title of the anthology of his essays collected from The New Yorker magazine and published in 1962 by the J.B. Lippincott Company of Philadelphia and New York as Dinosaurs In The Morning. The meaning needs to be inferred from this excerpt from the piece of the same name that gives the book its title - Dinosaurs In The Morning. No recording machine - no Jazz? The answer is most assuredly “Yes” for without the recording machine, Jazz, “... the most evanescent of arts,” could have vanished like the dinosaurs. Instead, we can listen to Jazz recordings in the morning while sipping our favorite beverage which, I would imagine is far better than discovering dinosaurs in the morning through our breakfast nook window! Copies of Dinosaurs In The Morning can still be had through online booksellers in various editions for reasonable sums of money and its 41 essays make for unsurpassed reading on the subject of Jazz. 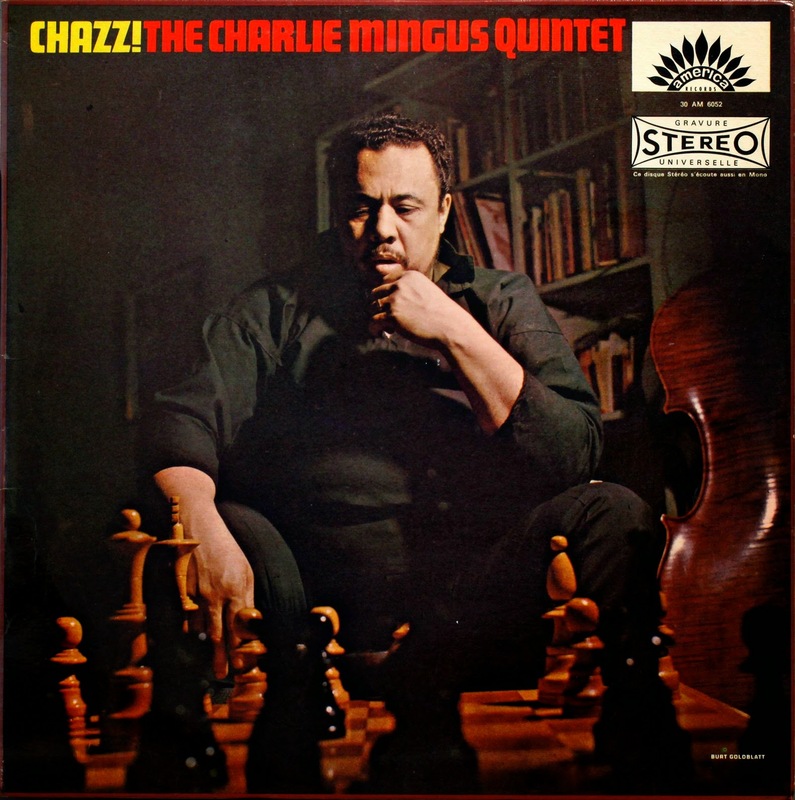 Judge for yourself; here Whitney’s narrative on bassist Charles Mingus. “UNTIL 1939, when Jimmy Blanton appeared, the bass fiddle had occupied the position in jazz of a reliable tackle. It had, a decade before, replaced the tuba in the rhythm section, and its best practitioners—Pops Foster, Al Morgan, Wellman Braud, Milt Hinton, Walter Page, and John Kirby—had become adept at rigid timekeeping and at itemizing the chords of each tune. These bassists also boasted tones that could be felt and even heard in the biggest groups. But they rarely soloed, and, when they did, restricted themselves to on-the-beat statements that were mostly extensions of their ensemble playing. Blanton, who died in 1942, at the age of twenty-one, abruptly changed all this by converting the bass into a hornlike instrument that could be used both rhythmically and melodically. Since then, the bass has taken over the rhythmic burdens once carried by the pianist's left hand and by the bass drum, and it has added a new melodic voice to the ensemble. At the same time, a group of Blanton-inspired bassists have sprung up to meet these new duties, and have included such remarkable performers as Oscar Pettiford, Ray Brown, Red Mitchell, Wilbur Ware, Paul Chambers, Scott LaFaro, and Charlie Mingus. All are first-rate accompanists and soloists, and all possess exceptional techniques. The youngest have even begun to wander toward the fenceless meadows of atonality. Chief among these bassists is Mingus, the greatest pizzicato player the instrument has had. He is also the first modern jazz musician who has successfully combined virtuosity, the revolutions brought about by Charlie Parker, and the lyricism of such pre-bebop performers as Ben Webster, the boogie-woogie pianists, and Billie Holiday. 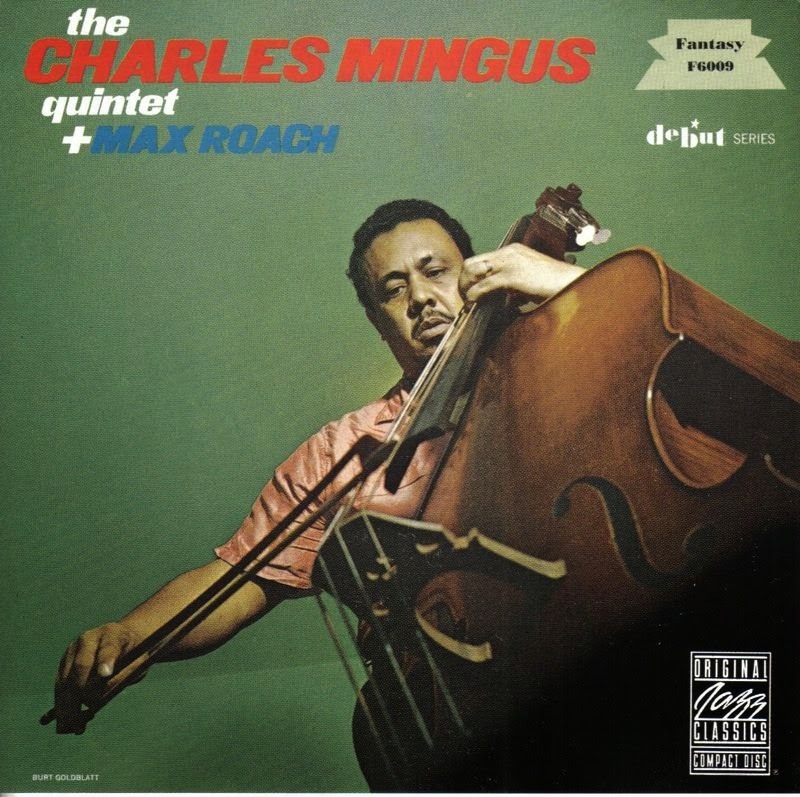 Mingus's supporting work is an indissoluble mixture of the rhythmic and the melodic. 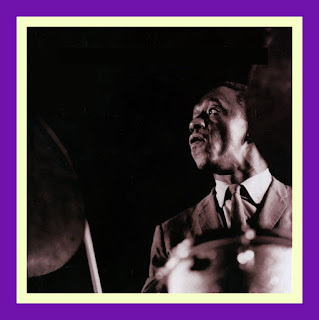 By seemingly playing hob with the beat— restlessly pulling it forward with double-time inserts, rapid tremolos, or staccato patterns, reining it in with whoa-babe legato figures, or jumping stoutly up and down on it—he achieves the rhythmic locomotion of drummers like Sid Catlett and Jo Jones. Yet he carefully fits these devices to each soloist, lying low when a musician is carrying his own weight, and coming forward brusquely and cheerfully to aid the lame and the halt. It is almost impossible to absorb all of Mingus at a single hearing. In addition to carrying out his rhythmic tasks, he simultaneously constructs attractive and frequently beautiful melodic lines. These may shadow a soloist, or they may be fashioned into counter-lines that either plump the soloist up or accidentally upstage him. Mingus is a dangerous man to play with. He is also an exhilarating soloist. Because he is the sort of virtuoso who has long since transcended his instrument, his finest solos are an eloquent, seemingly disembodied music. The pizzicato bass was not designed for the timbres Mingus extracts from it. He may hit a note as if it were a piece of wood, getting a clipped thup. He may make a note reverberate or, rubbing his left hand quickly down the fingerboard, turn it into an abrasive glissando. Sometimes he fingers with the nails of his left hand, achieving a rattling sound. Or he may uncoop a string of whispered notes that barely stir the air. He will start a solo in a medium-tempo blues with a staccato, deck-clearing phrase, cut his volume in half, play an appealing blues melody that suggests the 1928 Louis Armstrong, step up his volume, line out a complex, whirring phrase that may climb and fall with a cicadalike insistency for a couple of measures, develop another plaintive a-b-c figure, improvise on it rhythmically, insert a couple of sweeping smears, and go into an arpeggio that may cover several octaves and that, along the way, will be decorated with unexpected accents. Mingus's solos in ballad numbers are equally majestic. He often plays the first chorus almost straight, hovering behind, over, and in front of the melody—italicizing a note here, adding a few notes there, falling silent now and then to let a figure expand—and finishing up with an embossed now-listen-to-this air. There are only half a dozen jazz soloists skilled enough for such complacency. My present working methods use very little written material. I "write" compositions on mental score paper, then I lay out the composition part by part to the musicians. I play them the "framework" on piano so that they are all familiar with my interpretation and feeling and with the scale and chord progressions. . . . Each man's particular style is taken into consideration. They are given different rows of notes to use against each chord but they choose their own notes and play them in their own style, from scales as well as chords, except where a particular mood is indicated. In this way I can keep my own compositional flavor ... and yet allow the musicians more individual freedom in the creation of their group lines and solos. Most of his recent work can be divided into three parts—the eccentric, the lyrical, and the hot. 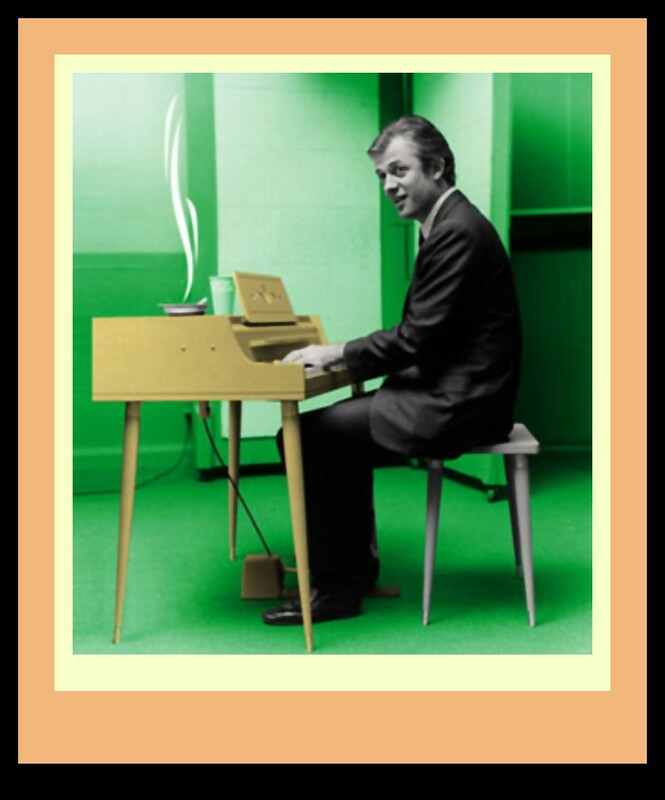 His eccentric efforts have included experiments with poetry and prose readings and attempts to fold non-musical sounds (whistles, ferryboats docking, foghorns, and the like) into his instrumental timbres. The results have been amusing but uneasy; one tends to automatically weed out the extracurricular effects in order to get at the underlying music. The lyrical Mingus is a different matter. His best ballad-type melodies are constructed in wide, curving lines that form small, complete etudes rather than mere tunes. Their content dictates their form, which resembles the ragtime structures of Jelly Roll Morton or the miniature concertos of Duke Ellington, both of whom Mingus has learned from. But Mingus has been most successful with the blues and with gospel or church-type music. The pretensions that becloud some of his other efforts lift, leaving intense, single-minded pieces. More important than the use of different tempos and rhythms in these compositions, which repeatedly pick the music up and put it down, are their contrapuntal, semi-improvised ensembles, in which each instrument loosely follows a melodic line previously sketched out by Mingus. The results are raucous and unplanned, and they raise a brave flag for a new and genuine collective improvisation. The same big bands with four or five trumpets, four or five trombones, five or six saxophones, and a rhythm section . . . still [play] arrangements as though there were only three instruments in the band: a trumpet, a trombone, and a saxophone, with the other . . . trumpets . . . trombones . . . and saxophones there just to make the arrangement sound louder by playing harmonic support. . . . What would you call this? A big band? A loud band? A jazz band? A creative band? I’d write for a big sound (and with fewer musicians) by thinking out the form that each instrument as an individual is going to play in relation to all the others in the composition. This would replace the old-hat system of passing the melody from section to section . . . while the trombones run through their routine of French horn chordal sounds. ... I think it's time to discard these tired arrangements and save only the big Hollywood production introduction and ending which uses a ten or more note chord. If these ten notes were used as a starting point for several melodies and finished as a linear composition—with parallel or simultaneous juxtaposed melodic thoughts—we might come up with some creative big-band jazz. The Atlantic record provides several first-rate demonstrations of this approach. On hand with Mingus are Jackie McLean and John Handy, alto saxophones; Booker Ervin, tenor saxophone; Pepper Adams, baritone saxophone; Jimmy Knepper and Willie Dennis, trombones; Horace Parlan or Mal Waldron, piano; and Dannie Richmond, drums. There are six numbers, all blues by Mingus. One of the best is the fast "E's Flat Ah's Flat Too." The baritone saxophone opens by itself with a choppy ostinato figure, and is joined, in madrigal fashion, by the trombones, which deliver a graceful, slightly out-of-harmony riff. The drums, bass, and piano slide into view. The trombones pursue a new melody, the baritone continues its subterranean figure, and the tenor saxophone enters, carrying still another line. Several choruses have elapsed. Then one of the alto saxophones slowly climbs into a solo above the entire ensemble, which, with all its voices spinning, becomes even more intense when Mingus starts shouting at the top of his voice, like a growl trumpet. Solos follow, giving way to the closing ensemble, which pumps off into twelve straight choruses of rough, continually evolving improvisations on the shorter opening ensemble. 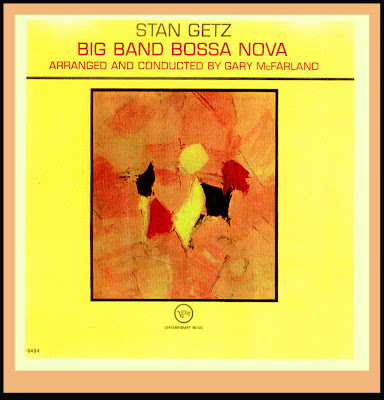 Near the end, Mingus starts bellowing again, and then everything abruptly grows sotto-voce. The trombones dip into a brief melodic aside, and the piece closes in a maelstrom, with each instrument heading in a different direction. 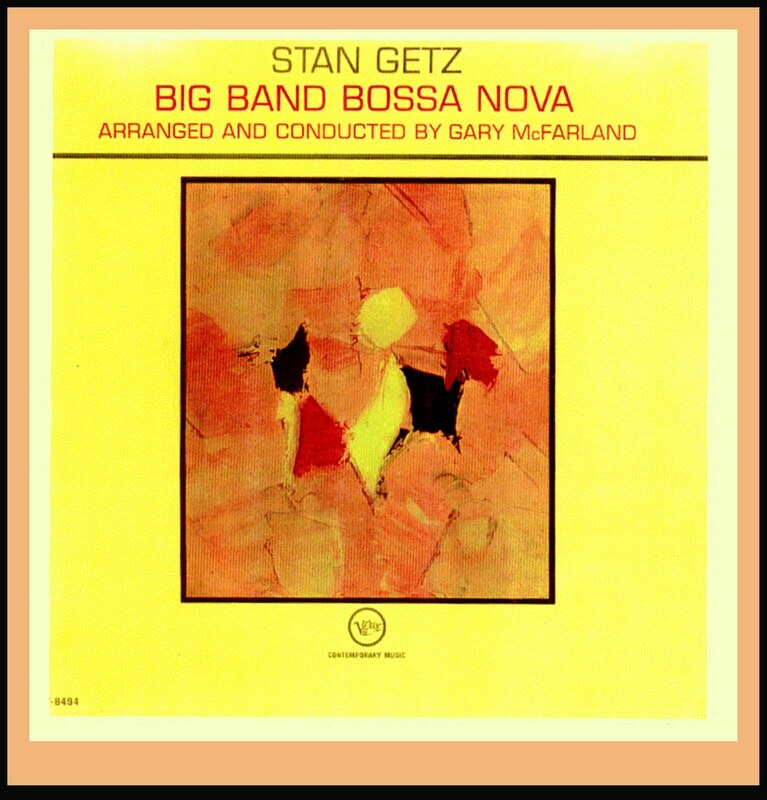 New tissues of sound emerge in this number and all the others at each hearing—a shift in tempo, a subtle theme being carried far in the background by a saxophone, a riff by the trombones that is a minor variation on one used in the preceding chorus. The Columbia records, which include eighteen numbers (all but two by Mingus) and pretty much the same personnel, are not as headlong. 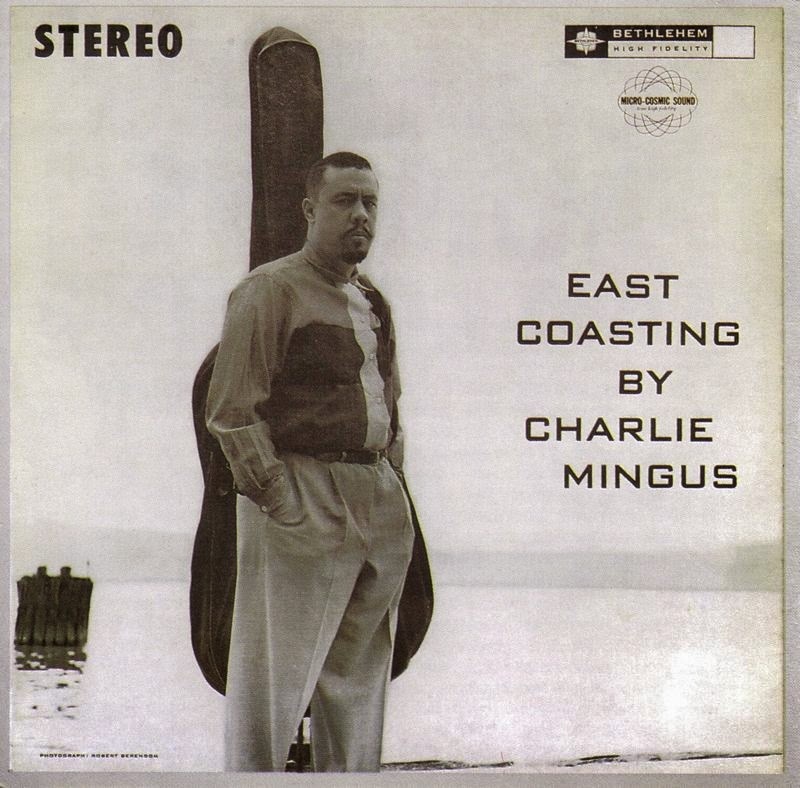 "Mingus Ah Um" has a couple of ballads, more blues, and, most important, generous amounts of the satire that is present in almost everything Mingus writes. This quality is most noticeable in "Fables of Faubus," which concentrates on two themes—an appealing and rather melancholy lament, and a sarcastic, smeared figure, played by the trombones in a pompous, puppet like rhythm. At one point, the two melodies—one bent-backed, the other swaggering—are played side by side; the effect is singular. 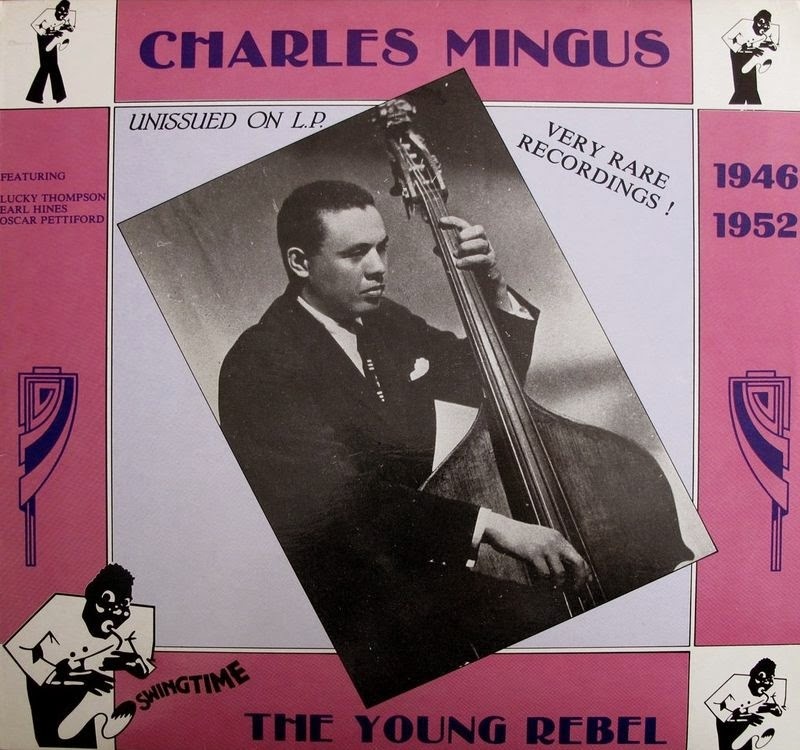 Mingus's needling is more subdued in pieces on Lester Young ("Goodbye Pork Pie Hat"), Ellington ("Open Letter to Duke"), and Charlie Parker ("Bird Calls"). But it emerges again in a delightful twitting of Jelly Roll Morton, called "Jelly Roll," which manages to suggest both the lumbering aspects of Morton's piano and his gift for handsome melodies. 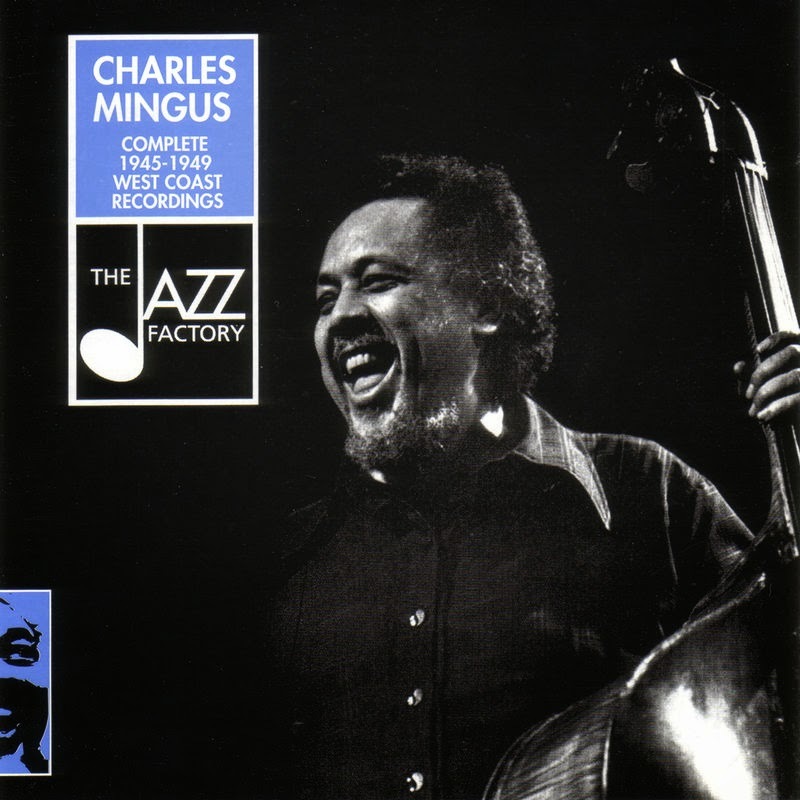 "Mingus Dynasty" has pleasant, reverent reworkings of a couple of Ellington numbers; a somewhat attenuated selection called "Far Wells, Mill Valley,' written in three sections for piano, vibraphone, flute, four saxophones, trumpet, trombone, bass, and drums; and a fresh version of one of Mingus's gospel numbers, "Wednesday Night Prayer Meeting,' this one called "Slop." "When I met him, he immediately liked the feeling I had, even though I wasn't experienced. So I would go to his house for lessons, whenever he was available: once a week or so. We would listen to music, and then talk about it, and then he'd show me things: harmonies of tunes, and changes. "A lesson would take place at the keyboard: He would improvise and play single lines, like bebop lines. I would listen, and then I would ask about chords and stuff. Vince didn't have a system of different exercises; he just did it by playing for me. "Vince was a very positive player. I don't know if that can be analyzed. The rhythmic component obviously is part of it, and the fact that he created melodies that tended to be sunny, not neutral or morose. But also, you can sense a musician's personality and attitude when they're playing,and anybody who hears most of Vince's music will sense a positive quality. He was a good, solid musician. Anybody who listens to his music 50 years from now will appreciate it for the same things we appreciate it for today. He wanted to be a success, in a very profound way, and to be remembered for the happy quality of his music. He succeeded." In the span of a few months, two of my favorite Jazz musicians who have been gone from the Jazz scene for many years suddenly “reappeared” in my life. Both were based in San Francisco, CA but each developed national recognition through their concerts club appearances and recordings. Some of their earliest success in the music came while working together. 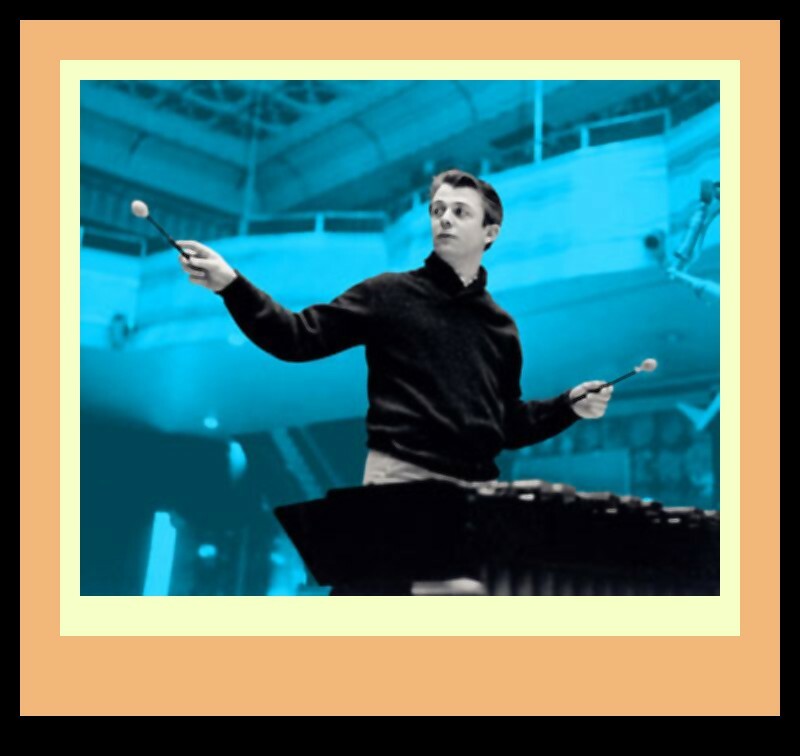 The first to make their “presence” felt again was vibraphonist, percussionist and bandleader, Cal Tjader, in S. Duncan Reid’s excellent biography: Cal Tjader: The Life and Recordings of the Man Who Revolutionized Latin Jazz. Duncan’s work is published by McFarland and Company. Here’s a link to my review of the book. 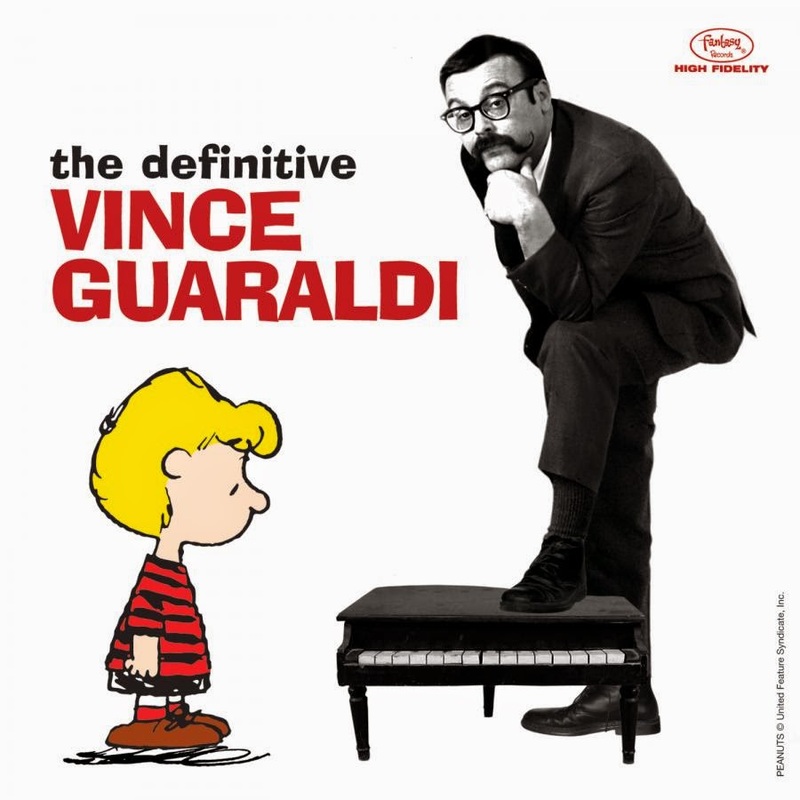 And now, along comes Derrick Bang’s Vince Guaraldi at the Piano, also published by McFarland. Order information about Derrick’s book can be located via this link. 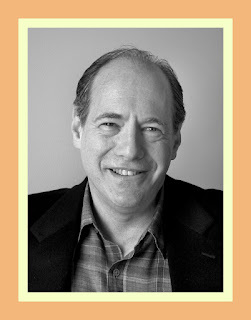 A professional writer and editor for many years, Derrick has specialized in writing about the work of Charles Schultz, the late cartoonist who created the Peanuts strip. In talking with Derrick by phone, I gathered that like many others, he was adversely affected by the employment meltdown that followed the Great Recession of 2008. I closed my consultancy as a consequence of it and retired. But thank goodness for Jazz fans everywhere that Derrick didn’t retire from writing. 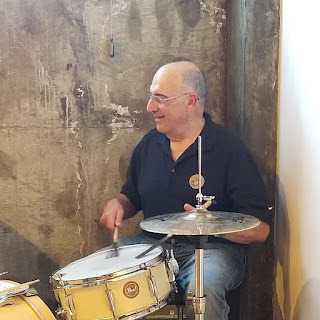 Instead, he used the “free time” to pour his considerable talents as a writer into producing one of the best researched and well-written biography of a Jazz musician that I have ever read. And all this excellence in service of a Jazz musician whose professional career actually spans little more than two decades [Vince Guaraldi died on February 6, 1976 at the age of 48]. 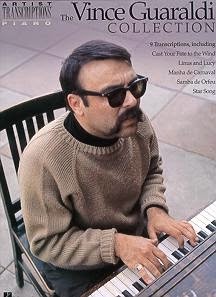 Vince Guaraldi at the Piano takes the reader through the formative years of Vince’s career with Cal Tjader, Woody Herman and the Lighthouse All-Stars, the many manifestations of Vince’s own trios with his early success thanks to the hit recording of his original composition, Cast Your Fate to the Wind and the writing and staging of his Jazz Mass at San Francisco’s Grace Cathedral, and though to the banner years associated with the original music that Guaraldi composed for many of the TV specials based on Charles Schulz’s Peanuts comic strips centered around the forlorn Charlie Brown. In many ways, the work can be seen as essentially a two part treatise on Vince’s professional career:  BC = Before Charlie Brown and  AC = After Charlie Brown. 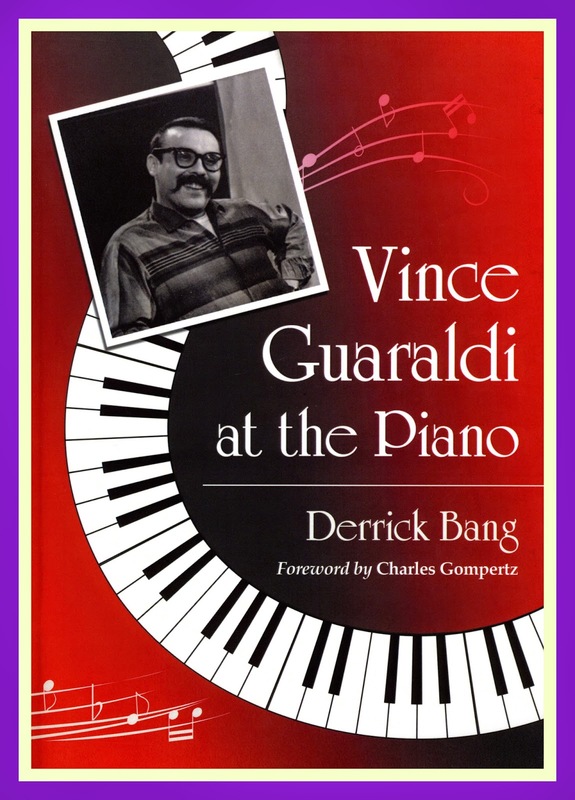 Prior to the detailed documentation that Derrick’s biography provides about every aspect of Vince’s career, this dualistic “before and after Peanuts” view was the impression many of us had about Guaraldi’s accomplishments in music. But after reading the Prologue, 15 Chapters, Epilogue and three  Appendices which contain remembrances of Vince by the musicians who worked with him, a discography and a filmography, the reader comes away with a fuller appreciation of a very complicated and complete musician who expressed his art in a style that was simple, direct, and yet, at the same time, powerfully rhythmic and emotionally charged. Because of his small statute, relatively quiet and easy-going demeanor and physical limitations [he had small hands and was a poor reader of music], Vince was easy to overlook or take for granted. But as Derrick’s book irrefutably proves, Vince was a force of nature and one to ultimately be reckoned with in whatever the musical circumstance. 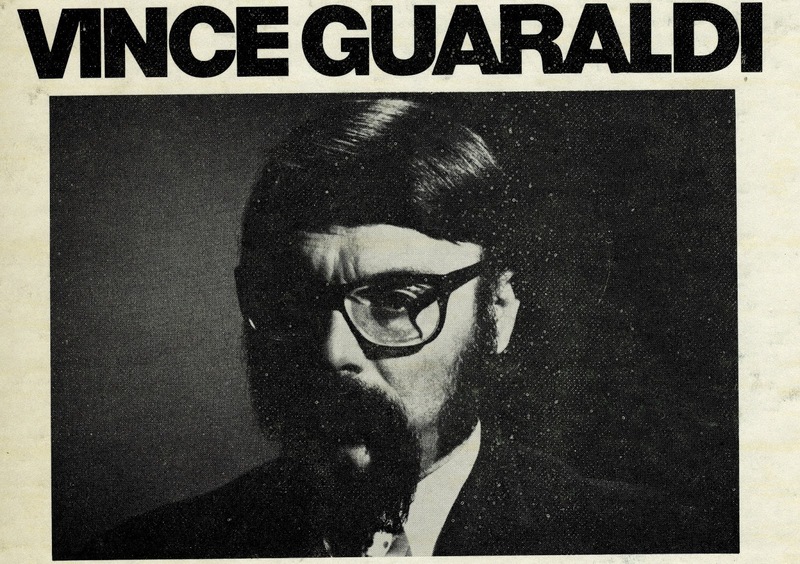 Irrespective of the musical setting, Vince Guaraldi prevailed. I had the opportunity the observe this quality about Vince first-hand after he joined the Lighthouse Cafe All-Stars [LHAS] in late summer of 1959. 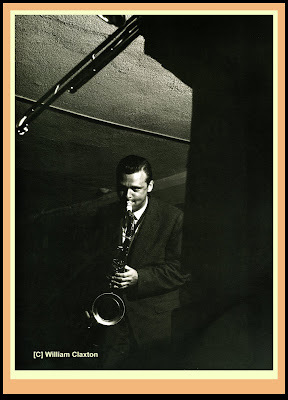 During that time, I frequented the Hermosa Beach, CA club on a weekly basis and when Vince first arrived, the long-standing quintet featuring Frank Rosolino on trombone, Bob Cooper on tenor sax, Victor Feldman on piano and vibes and Stan Levey on drums was in the process of disbanding. They had been together for almost three years and their breakup left something of a void in the routine of the regular patrons of this beach haunt. 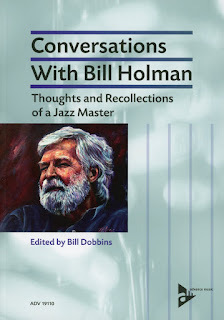 Over the years, bassist Howard Rumsey, who also served as the Musical Director of the LHAS [in other words, it was Howard’s gig] had put together an impressive book of complicated and intriguing compositions written by the likes of Shorty Rogers, Jimmy Giuffre, Bud Shank, Sonny Clark, Bob Cooper, Bill Holman, and Victor Feldman, among many other West Coast Jazz notables, all of whom had passed through the band at one time or another. 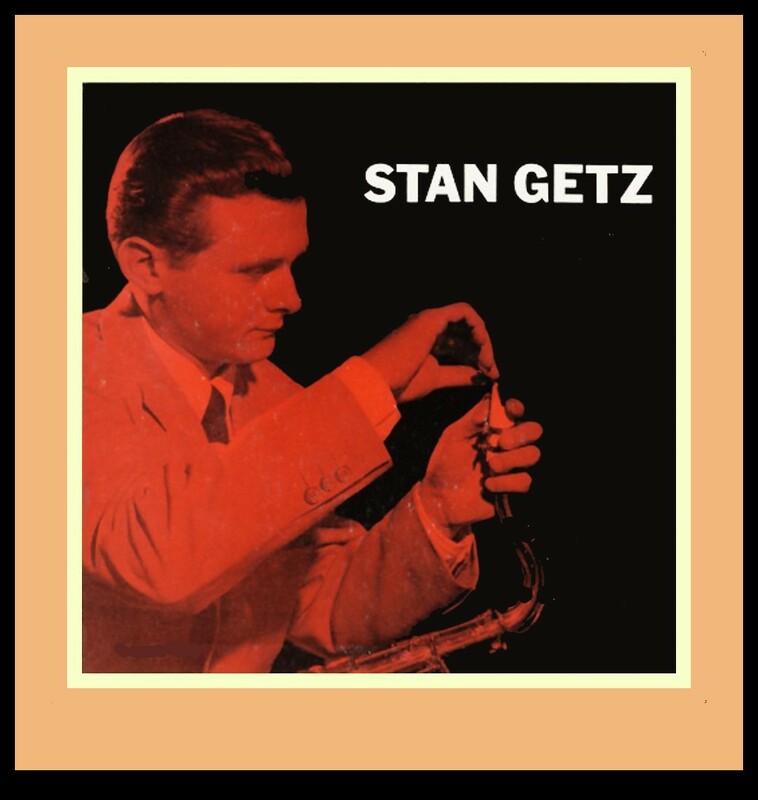 It was a complicated book as the West Coast style of Jazz tended to be an arranger’s music which placed a heavy premium on a musician’s ability to read music. Enter Vince Guaraldi, a notoriously poor reader, who pretty much had a deep-set, look of confusion on his face during his first month or so on the Lighthouse gig as he tried to find his way through this mirage of notes and chords. 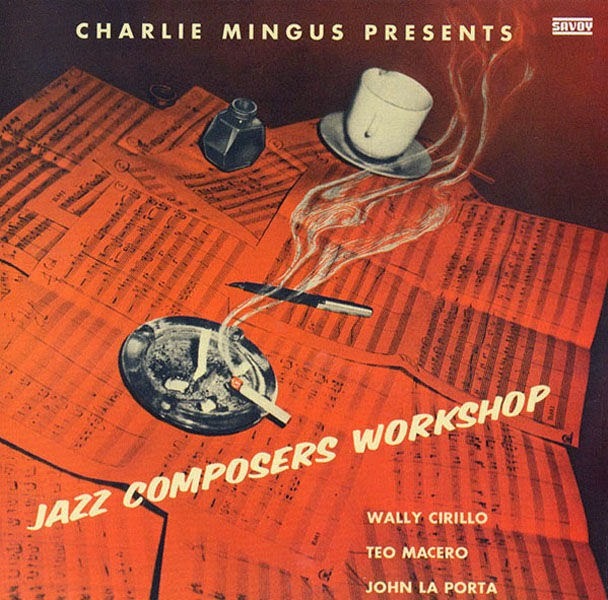 No problem, for not only did the LHAS undergo a personel change - Conte Candoli returned on trumpet, Art Pepper came aboard on alto and Nick Martinis on drums completed the rhythm section changes along with Vince on piano - but the music this group performed change, too, to music that was largely influenced by … wait for it … Vince Guaraldi! Did I mention that Vince prevailed? Instead of the finger-poppin’, complicated arrangements that previously made-up the LHAS “book”, the tunes became more simple melodies played at medium tempos, many of which were blues-inflected when they weren’t composed as outright 12-bar or 16-bar blues by Vince or Vince in conjunction with Conte Candoli or tenor saxophonist Bob Cooper [who rejoined the band due to Pepper’s frequent absences]. 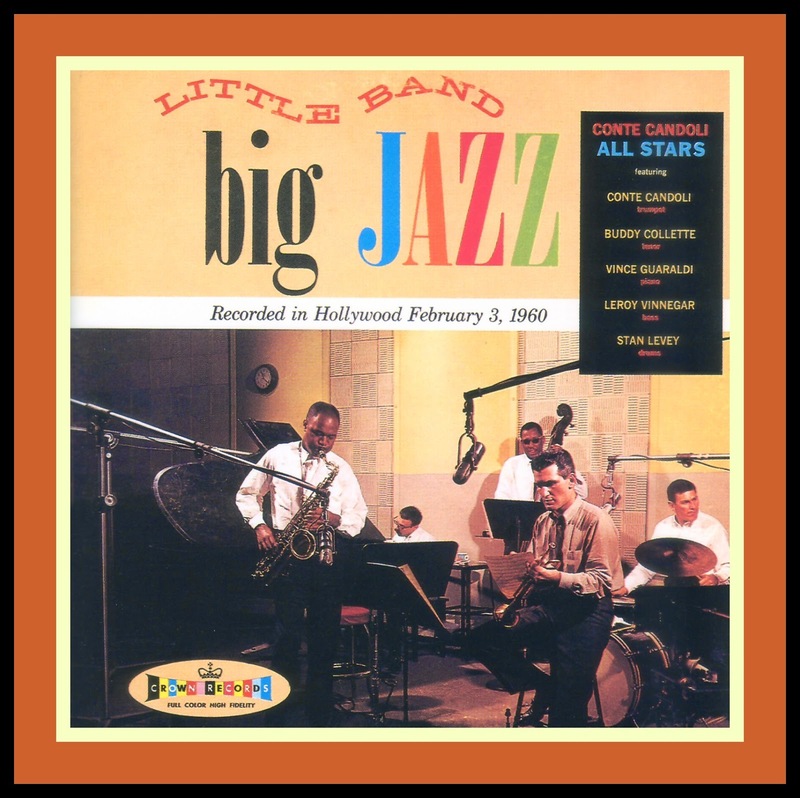 You can hear this format on Little Band, Big Jazz [Crown LP-5162; Fresh Sound CD FSR1629]. Although the record is under the nominal leadership of trumpeter Conte Candoli and he is listed as the composer of four of the six tunes on the album and co-composer on the remaining two with Vince, I heard this music come together at the Lighthouse over a six-month period of time prior to its recording in February, 1960 and there is little doubt in my mind that Vince was responsible for all of it! It’s just too Vince-sounding and Conte was not known for his interest in writing original compositions. 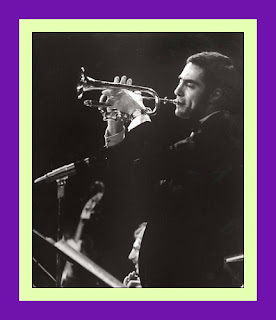 Of the 40 tunes on four of Conte’s signature LP’s from this period in his career - Powerhouse Trumpet, The Conte Candoli Quartet on Mode, Mucho Color and West Coasting - Conte only wrote three original compositions, two of which are based on mambo’s riffs and one is an adaptation of Dizzy Gillespie’s Groovin’ High. 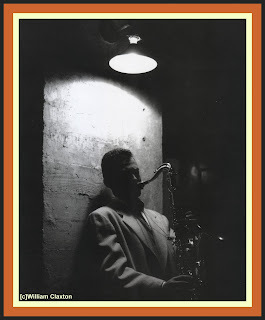 From the detailed information provided by Derrick throughout his book, the reader learns that Vince performed with just about everybody of significance on the West Coast Jazz scene from about 1950-1965. The list is staggering. But what Derrick also makes clear in his book is that Vince was most comfortable when he was performing his own music, especially in the classic piano-bass-drums Jazz trio setting that he preferred and continued with throughout his career despite numerous changes in bassists and drummers. Like many self-taught musicians, Vince didn’t know what he couldn’t do. He didn’t know the “right way” or “the wrong way” or that “you can’t do that” or “that’s not the legitimate way to get that sound” or whatever. Vince heard it in his head and felt it in his heart and somehow got it out of his hands. 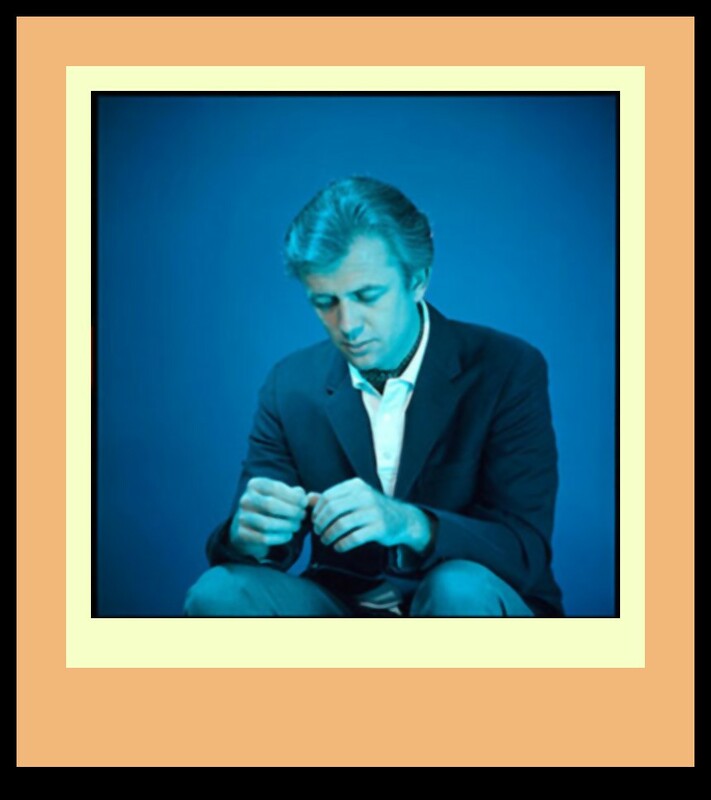 Whatever the technical limitations about his musicianship, Vince was driven to bring out his own style in his music. In this sense, as Derrick underscores time and again, Vince was a true original and this is why his music has stood the test of time. Derrick frames his biography of Vince with his own insights and those of the people and musicians associated with Vince whom he interviewed and both of these help to bring out key characteristics of Guaraldi’s personality and style. 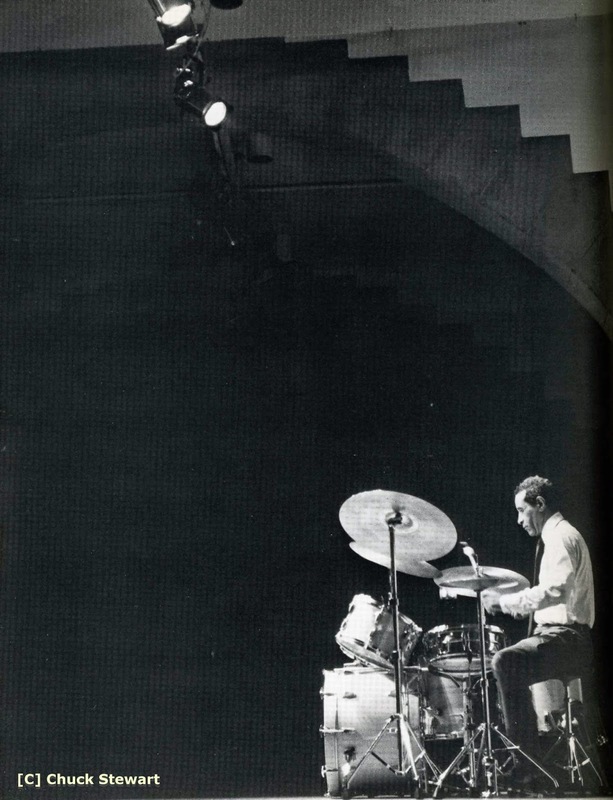 “One time he played an album by Los Angeles bebop pianist Hampton Hawes, and Vince said: ‘You and I have this feeling, and a lot of other players don’t get it.’” [Larry Vuckovich, Vince’s student and Jazz pianist, p. 44]. “In a sense, I met a saloon player ... and, during the time we knew each other, he I became a nationally and internationally known celebrity. I played a part in all that, which is humbling. It's an extraordinary story: how one person can have an idea that involves you, and then can pursue that idea, and help put together what needs to take place, to bring the idea to fruition, and then push it beyond that, into a whole different category of existence. It's a magical kind of thing." [Reverend Charles Gompertz, p. 157]. 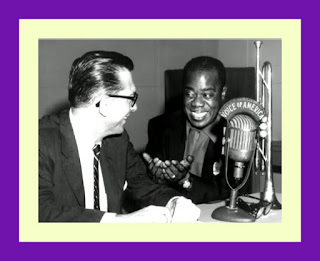 The second half of Derrick biography of Vince details the many manifestations of Vince’s music in the Peanuts television specials that are based on the characters created by cartoonist Charles Schulz. Producer Lee Mendelson chose Vince for this career-changing endeavor. Why? Derrick offers this background on how it all came to pass. “But how did Mendelson settle on Guaraldi? Mendelson knew that he wanted a jazz score —"’I had always loved jazz, going back to Art Tatum’—but he needed a composer. The important part of the saga came next, and it'll sound familiar to those who remember, from the previous chapter, how the Rev. Charles Gompertz came to select Guaraldi for his high-reaching idea [the May, 1965 Grace Cathedral Jazz Mass]. 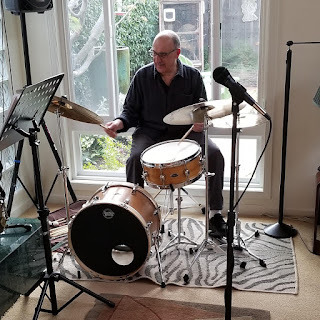 ‘I was driving over the Golden Gate Bridge,’ Mendelson recalled, ‘and I had the jazz station on —KSFO —and it was a show hosted by Al 'Jazzbo' Collins. He'd play Vince's stuff a lot, and right then, he played [Vince’s] Cast Your Fate to the Wind. It was melodic and open,and came in like a breeze off the bay. And it struck me that this might be the kind of music I was looking for. Mendelson and Guaraldi got together shortly thereafter. ‘We met at a restaurant called Original Joe's, in San Francisco,’ Mendelson continued. ‘He had a great smile and a great laugh, and we hit it off right away. I was struck by his very short, stubby fingers, and I remember wondering how he played the piano with hands like that. ‘He told me he loved the Peanuts strip, and that he never missed it. If Mendelson had any doubts about Guaraldi's suitability for the assignment, they vanished after what happened next ... particularly because it happened so quickly. "And that was the first time I ever heard Linus and Lucy. Looking back on that electrifying moment, decades later, Mendelson insists that he knew —really knew— that Guaraldi had been the right choice. ‘I have no idea why, but I knew that song would affect my entire life. There was a sense, even before it was put to animation, that there was something very, very special about that music. Although, Vince’s association with the various iterations of the Peanuts television specials would ultimately provide him with a degree of financial security accorded to few Jazz musicians, he continued to work gigs for the remainder of his life. Indeed, he died of a heart attack while working one - Butterfield’s - a club/restaurant located in Menlo Park, CA. Vince was only forty-eight. Vince Guaraldi at the Piano is a fascinating reading experience, not only because of the wealth of detailed information it contains about Vince Guaraldi and his music, but also because of the very skillful way in which it is written. Derrick Bang writes clean and compelling prose. There is a clarity and a warmth to his style that are the hallmarks of all great writers. What stands out about Derrick Bang’s writing is that while experiencing it, one quickly appreciates that one is in the presence of an artist.